Hi, my name is Milkshake! 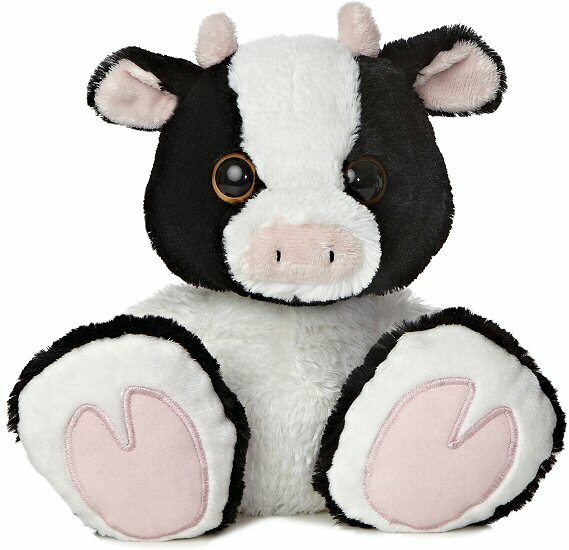 I am a huggable cow stuffed animal from the adorable Taddle Toes collection. My chunky body has soft white and black fur and I have these amazing oversized black and white feet with pink "foot prints." And do you see the little horns on my head? They're little buds now, but I think I'm really staring to become a grown up cow. I just know we're going to be the best of friends - I can tell when I use my warm golden-brown eyes to stare into the depths of your eyes. Let's head on over to your house where we can have lots of imaginative adventures together. 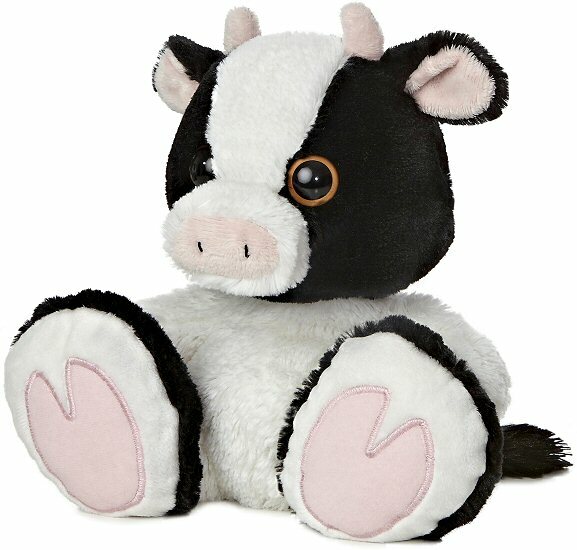 Fun Facts about Cows: Did you know that there are times when cows can run faster than horses? Yup! When running through very muddy places where animals tend to get bogged down, a cow's cloven hooves let their feet spread out so that they don't sink into the mud as much as a horse's would and therefore they can run faster in these conditions.